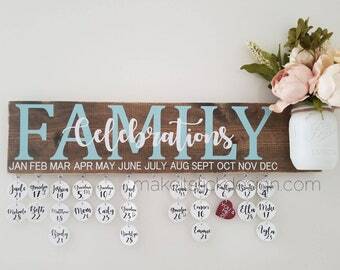 What a great and fun way to display and remember all those family birthdays and anniversaries! This white painted board will save you from the yearly ritual of filling out your calendar. 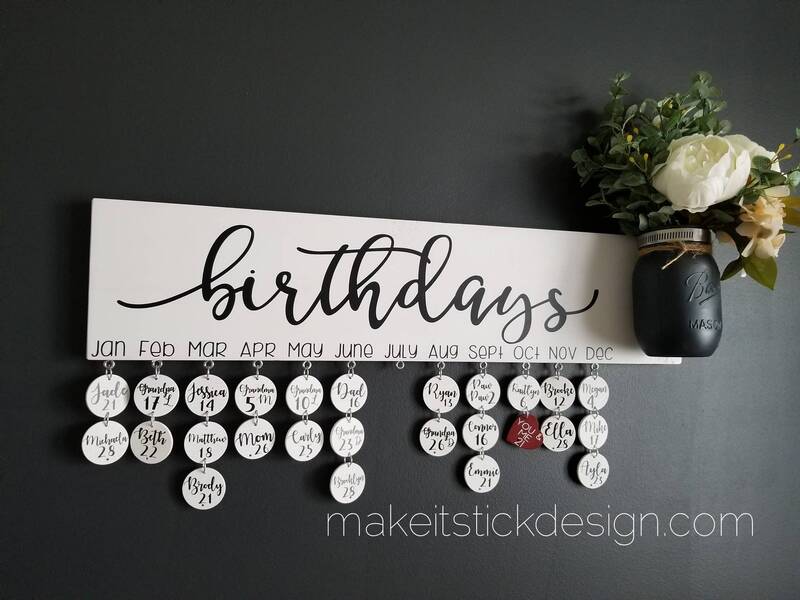 Simply write their name and day the birthday falls on, then simply hang them with the provided jump rings under their birth month. 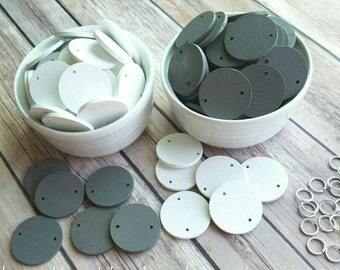 Included jump rings are flexible so you can easily add and remove the circles to spaces and places desired. 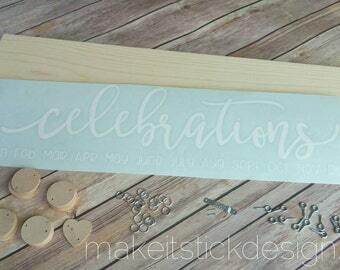 Each board is hand painted white with black vinyl lettering in your choice of "Celebrations" or "Birthdays". 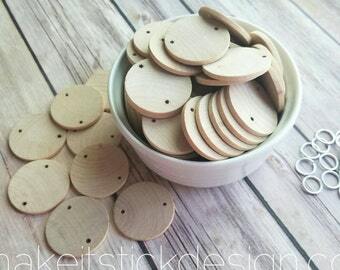 We have attached a cute mason jar to the board for you to add flowers, cotton stems or even succulent. The options are endless! If preferred, we even do a shorter board with no jar. 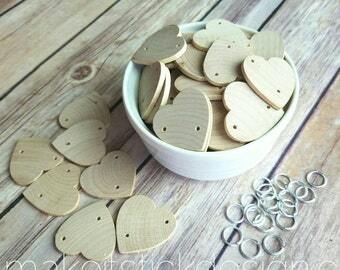 Beautifully made! Would buy from this shop again. 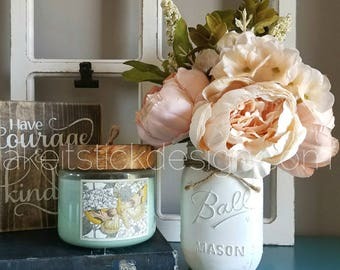 Exactly as pictured and shipped and delivered within thr estimates given. I can't wait to hang this up!